Spacious 4 bed, 2 1/2 bath home with open floor plan, 2 living areas, laundry. Conveniently situated between Houghton and Fillmore on 2 prime acres with 2 barns 56x30 and 66x40 w/newer metal roofs and cabling. Perfect location for a hobby farm, business, or income property. Surrounded by fields and landscaped to provide privacy and seclusion without being isolated. Three decks expand the living area to the outdoors. Have your morning coffee watching the sunrise over the field from the back deck. Soak up afternoon sunshine from the front deck. Take a walk, ski, or horseback ride on the Genesee Valley Greenway Trail which abuts the property. Stores, restaurants and schools are minutes away. A great blend of country and town living! 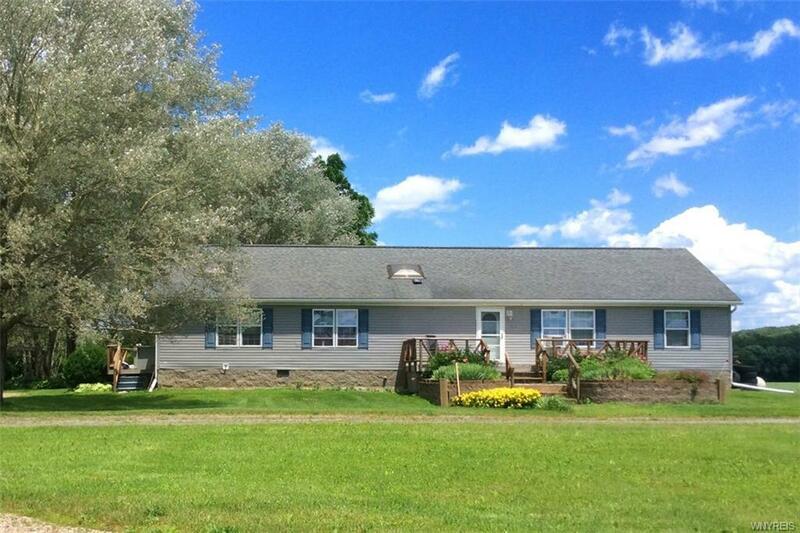 Easy distance from Letchworth Park and Rushford Lake!